This picture was taken the beginning of February, 2017 on a rare 65 degree day in Maryland. 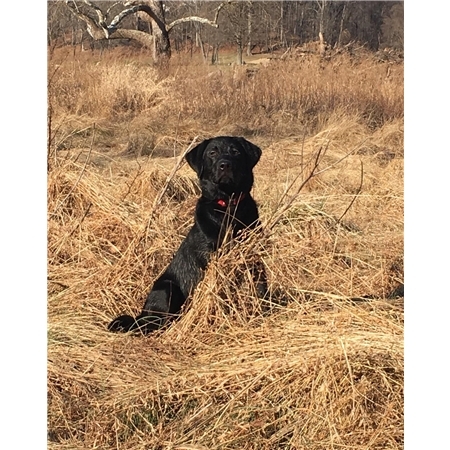 We were on a "fun run" but also took some time to train Grady, 6 1/2 months old, on water retrieves. We love this picture as he looks so mature, almost "majestic".